At the end of a week consisting of largely depressing market reports, new data from Knight Frank suggests that the bad news continues. 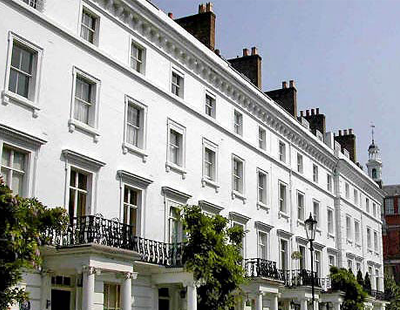 The high-end agency says that prime property prices in regional markets in England and Wales fell by 0.8 per cent over the first three months of 2019, the third consecutive quarter that average prices have fallen. The annual fall in the 12 months to March was 1.8 per cent - a modest sum but the biggest fall in five years for a sector that has been resilient until now. There were some more significant regional price drops, with prime markets closest to the capital feeling the effects of a weaker London market. Values in North Surrey, for example, fell by nearly 3.0 per cent annually. Elsewhere, average prices in markets across the North Thames and Chilterns dipped by 5.4 per cent over the 12 months to March. “Recent performance in regional markets reflects heightened political uncertainty surrounding the UK’s planned exit from the EU. A lack of clarity about the outcomes and timings has resulted in caution among some buyers and sellers in prime residential markets” says Oliver Knight, an associate in the agency’s research department. He says “more moderately priced properties” have been more resilient to this downward trend. “Property worth up to £1m fell by a relatively modest 0.7 per cent annually, while £2m-plus properties have fallen by an average of 2.5 per cent” says Knight. He continues: “The prime market is expected to remain subdued in the short-term, with Brexit leading the headlines and impacting on housing market sentiment. However, when the political uncertainty recedes we expect underlying demand to crystallise into more activity. As a side research, Knight Frank has looked at the ‘urban v rural’ price differences. The agency says that substantial manor houses, for example, have reported modest growth of just 0.8 per cent during the past five years, compared with growth of 19 per cent and 24 per cent respectively for cottages and townhouses over the same period. “This mirrors a wider trend of outperformance within the market for properties located in urban town and city settings, relative to more rural counterparts. 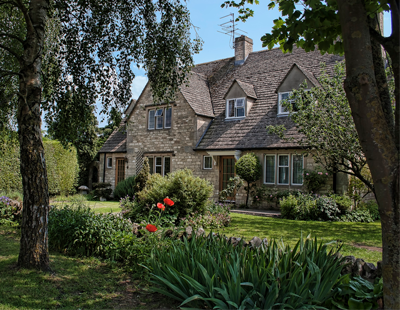 Strong price growth in the years following the financial crisis in areas including Bath, Bristol, Cheltenham and Oxford means values for prime homes in urban locations have surpassed pre-financial crisis peaks” explains the Knight Frank research report. “Rural properties by comparison remain more than 10 per cent below peak levels” it continues.